Patio awnings are becoming increasingly popular in London for both homes and commercial premises around the city. They’re the perfect way to provide cover all year round and can make a great focal point of areas like the back garden or for a range of business properties including shops, bars and restaurants, and even offices. There are a wide range of retractable roof systems available and choosing the right one for your needs can be challenging if you don’t know what to look for. Electric canopies are easy to install, simple to maintain and deliver an excellent return on investment for businesses while adding to domestic property values. 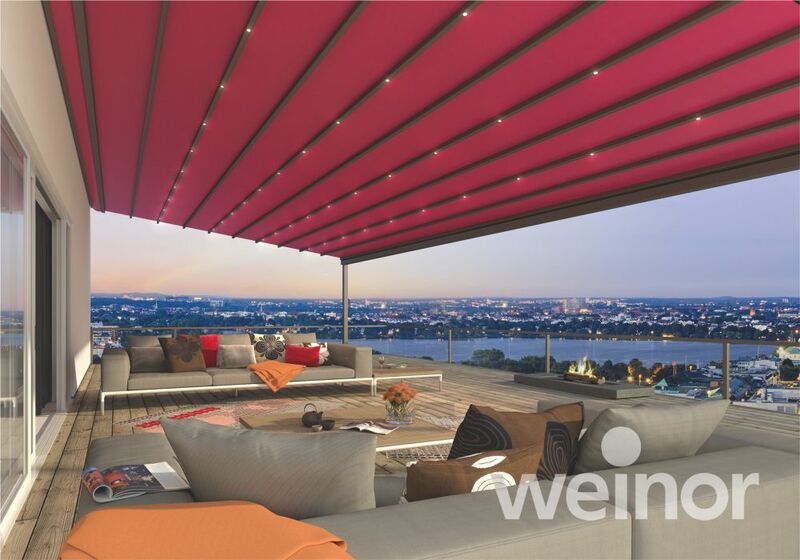 One of the best known names in patio awnings is Weinor and the Pergotex is one of the bestselling patio roof systems. It combines the strength of aluminium with a retractable fabric that is highly flexible and looks great. Whether you want to protect your guests from the sun on a hot day or keep out of the rain and wind, the system can be tailored to fit any area. It’s a cost effective and attractive option whether for the home back garden or a business that wants to provide that value added extra for customers. The Pergotex is operated by an electric motor which can be controlled by a switch, using a radio controlled handset and even via sensors for sun and rain. The fabric is strengthened with aluminium slats which means that it retracts in a concertina affect and pulls out smoothly and almost silently. The Terrazza is the epitome of elegance and if you want an electric canopy that hits the height of luxury this is one of the best choices on the market today. 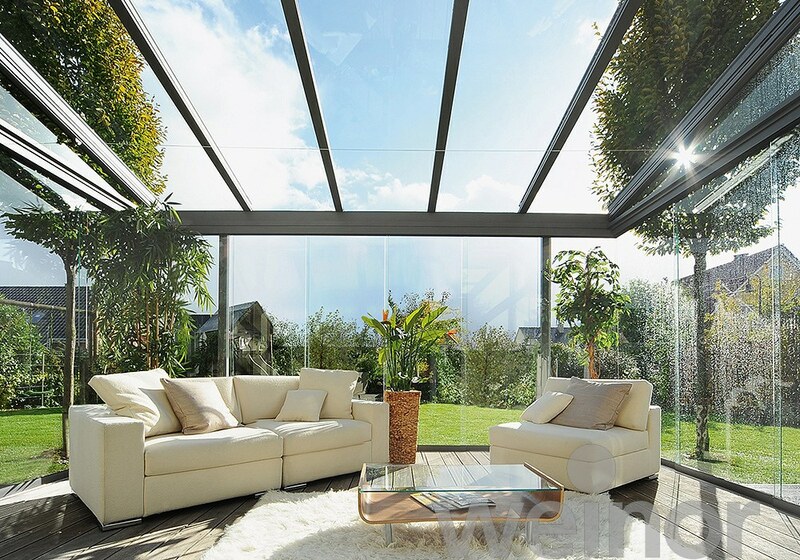 With it’s glass top and aluminium frame, it can provide cover all year round so you don’t need to worry about bringing in the patio furniture. Glass sides protect you from strong breezes and the range of awnings in different dirt repellent fabrics means you can be as sophisticated or daring as you like. This is the perfect choice for those who want more say in the design and look of their retractable roof system. If you simply want something functional and stylish that fits with the surrounding décor, the Plaza Viva is a popular and cost effective choice for many gardens. Supported on telescopic posts and with floating bearings on the wall brackets, you can quickly install something that is not only functional but also attractive. While simply constructed, the Plaza Viva is incredibly strong and works in most weather conditions. It’s ideal for those summer days when you just want to sit back and relax with a little shade. Making sure you get the right electric canopy installed in your London home or business property is important. The good news is that there are a wide range of choices to suit most budgets. Whether you want the full blown elegance of the Terraza or the functionality and stylishness of the Plaza Viva, there’s no doubt that retractable roof systems can add a lot to your property. If you’d like to find out how a patio awning can make a big difference to your home, contact us today for professional advice about the best products to choose.